VOLUNTEER para-medics take the vital signs of patients before they are referred to the physicians. 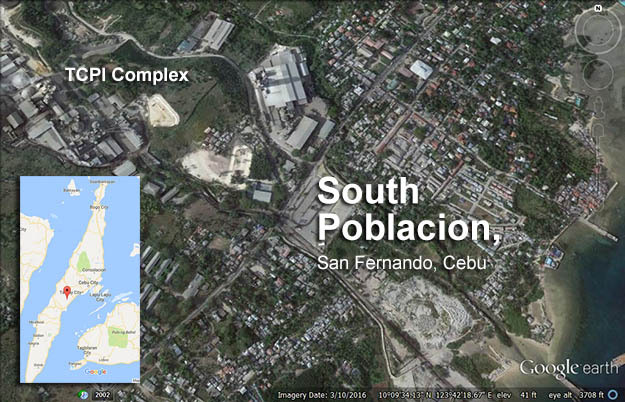 SOUTH POBLACION, San Fernando (May 31, 2015) — Fresh from being commended by the Cebu Provincial Board for attending to San Fernando townsfolk in most need of attention with their health, Taiheiyo Cement Philippines, Inc. (TCPI) brought back its medical mission here yesterday. It served 743 patients in its third visit to the barangay that hosts TCPI’s cement manufacturing facilities, 352 among them adults and 391 children, disclosed Mitzie Almira I. Carin, human resources and administration deputy division manager of Solid Earth Development Corp. (SEDC). TCPI and SEDC, its materials supplier and port operator, have been conducting the medical missions since 2006, and have now entered the third round among the 12 stakeholder barangays they attend to in San Fernando. The recent South Poblacion mission came after the provincial legislature cited the two firms for the community outreach program they pursued under their joint Social Development Management Program (SDMP). Further, Cebu Gov. Hilario Davide III gave his own commendation to TCPI, noting that hillsfolk in the hinterlands have benefited much from the program. While South Poblacion is a coastal barangay in the heart of the town, residents living in sheer poverty appreciated the mission that attended to common cough and colds, skin diseases, dental carries, and abdominal pain noted among children. Muscle pains and back spasms, hypertension, hyperacidity and ulcer, arthritis, common cough and colds, and urinary tract infections were also noted among adults, reported Dr. Ildebrando E. Estella, the company physician. Physicians attend to, prescribe and give medicines to patients who have sought attention about their state of health. The mission conducted at the TCPI multi-purpose recreation center also gave vitamin supplementation to adults and children, noted Estella, also the mission leader. Most of those served at 266 came from the lower banks of Luknay River, followed by those from the upper banks 76 and Lawis with 74, disclosed Vanessa N. Bongcawil. The others came from Capangian, 47, Evangelical, 40, and rest spread in Ka-Anas, Tapon, YBO, Yang-yang, Market Side, Lower Market, Triple 8, and Pantalan, added the TCPI community and general affairs supervisor. The patients covered 548 medical cases, 125 optical cases and 70 dental cases, according to Carin. Some 208 South Poblacion residents had themselves listed days before the mission, but still 535 more came on D-day. 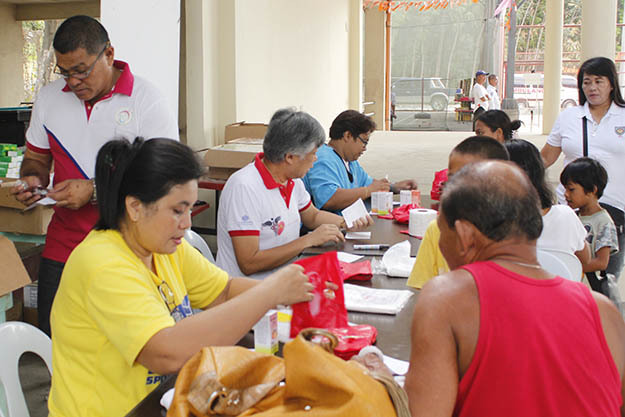 Eighteen barangay health workers assisted the TCPI and SEDC volunteers, 10 of them taking the patients’ vital signs and blood pressure, two assisting the doctors during consultation, one the dentists and another the optometrist. The medical mission since 2006 has now served 17,963 patients. It first served South Poblacion in late 2005 when it had yet to become a regular SDMP program, then in June 2011 when it served 1,122 patients. Just as the October 2013 7.2 magnitude earthquake happened, TCPI conducted a special medical mission at Sitio Tapon when it attended to 440 patients. This entry was posted on May 31, 2015 by Cerwin in Solid Earth, Taiheiyo Cement and tagged Cebu Provincial Board, Consultation, Davide, Gov Davide, Medical Mission, Provincial Board, San Fernando, SDMP, SEDC, Solid Earth, South Poblacion, Taiheiyo, TCPI.